Photorealistic image stylization concerns transferring style of a reference photo to a content photo with the constraint that the stylized photo should remain photorealistic. These and our qualitative results ranging from small image patches to megapixel stylistic images and videos show that our approach better captures the subtle nature in which a style affects content. 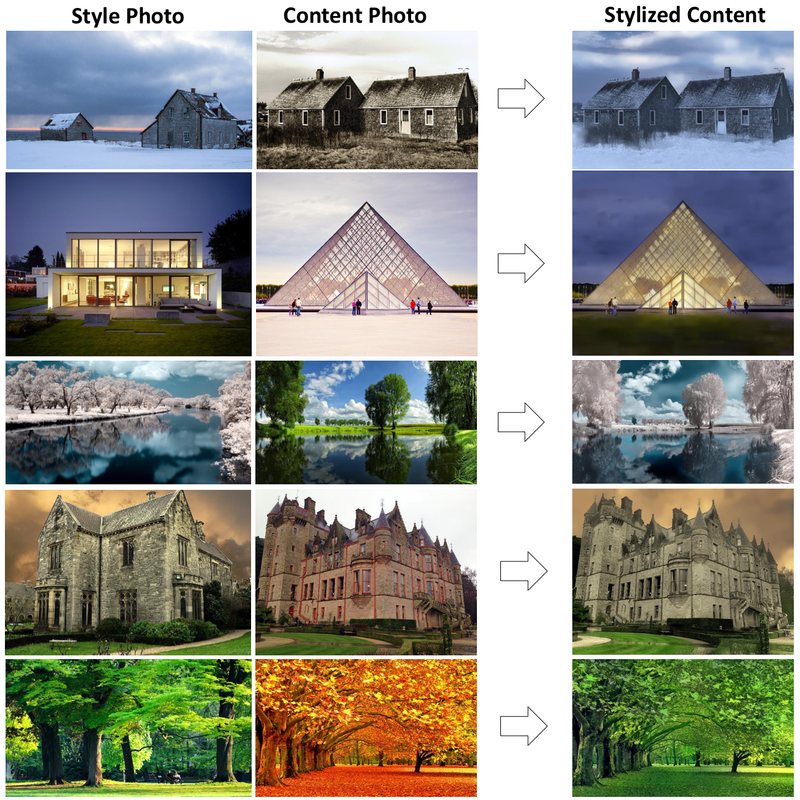 Reference-based super-resolution (RefSR), on the other hand, has proven to be promising in recovering high-resolution (HR) details when a reference (Ref) image with similar content as that of the LR input is given. Parametric generative deep models are state-of-the-art for photo and non-photo realistic image stylization.